Brian Fricke, Senior Information Assurance Analyst with the Cyber Security Forum Initiative (CSFI) presents at IDGA’s Cyber Warfare conference in DC. 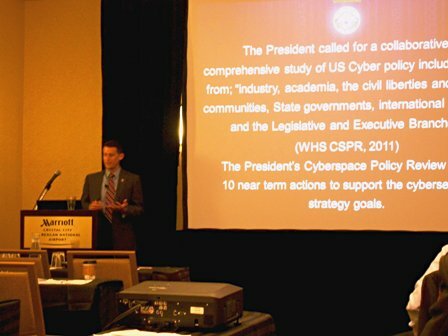 He covered the U.S. Cyber security Executive Strategy Assessment. An overview of the strategies of the Department of Homeland Security, the Department of Defense and The White House in support of the White House Cyberspace Policy Review. 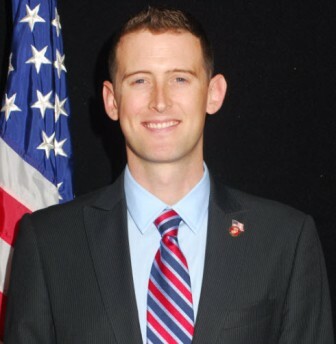 Mr. Brian Fricke is a Senior Information Assurance Analyst with the Cyber Security Forum Initiative (CSFI). He is a Subject Matter Expert working with the CSFI Information Assurance (IA) team supporting the Chief Information Assurance Officer (CIAO), assisting in the development of information assurance and security research, strategies, policies and guidelines. He holds a BS in Domestic Security Management from California National University and a Graduate Certificate in Strategic Cyber Security Enforcement from the George Washington University in Washington, DC. 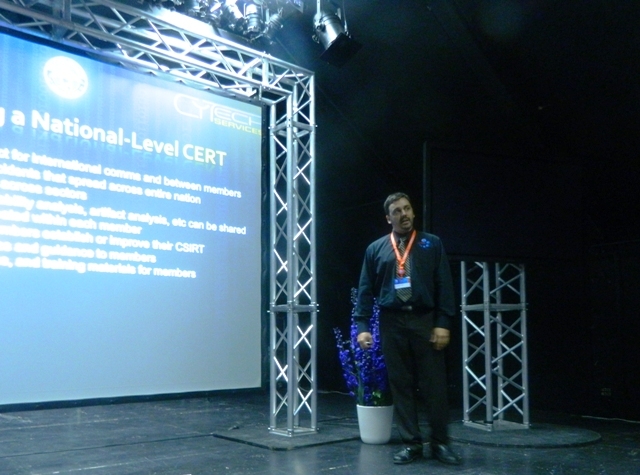 Mr. Fricke holds CISSP, GSLC, Security +, and ITILv3+ certifications. He works professionally as an Information Assurance Manager within the Department of Defense. 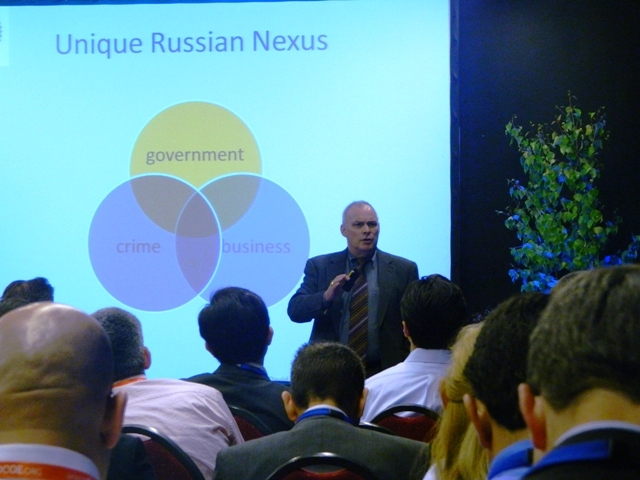 The Cyber Warfare & Security Summit 2012 discussed the newest developments within the cyber warfare domain, new technologies on how to identify and counterattack hackers and how a perfect cyber warrior should look like. The event took a closer look on how to react faster and more efficient on cyber attacks and international alliance structures to establish cyber security. Prior to the main conference the event kicked off with a focus day discussing the human capital crisis the cyber security is currently facing and battling with 10.000 new cyber warriors. IDGA delivers great conferences and it is highly recommended by CSFI! Daedalus is a 3D visualization system that currently monitors some 190,000 IP addresses across Japan. Real time visibility and awareness of cyber threats! 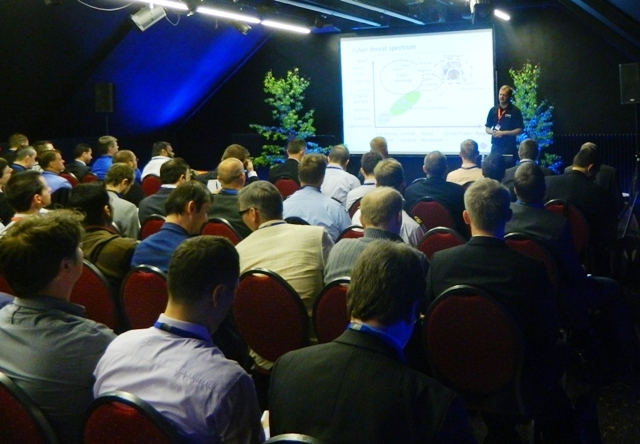 The CSFI workshop at CyCon 2012 http://www.ccdcoe.org/cycon/ took place in Tallinn, Estonia. CSFI is honored to have had the opportunity to organize the workshop and to be part of such prestigious event on cyber conflict. The main objective of the workshop was to bring together trusted CSFI members, sponsors and partners with the right set of skills and technical knowledge to deliver high quality workshops around the world. 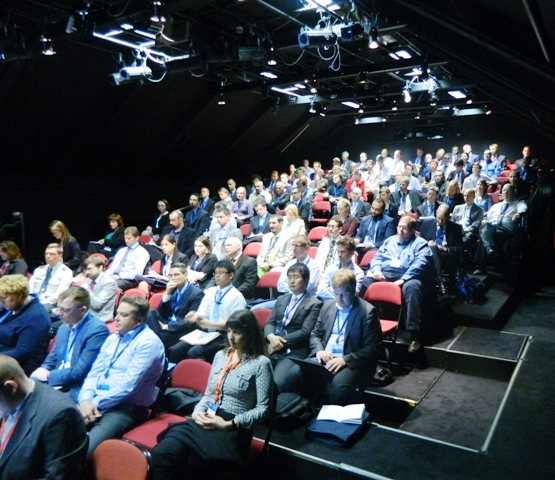 This group of experts collaborates under the CSFI flag in order to deliver their presentations and cyber exercises. We had a full room with military members, governments (MoDs) and representatives from the private sector from all over the world with focus on European members. 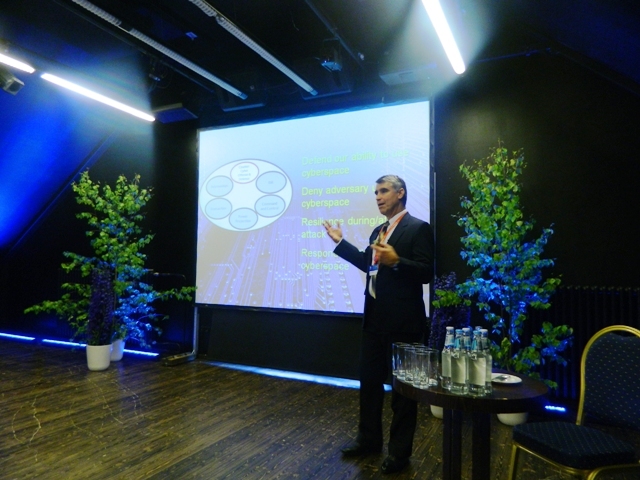 *International Conference on Cyber Conflict* is NATO CCD COE’s annual conference held in Tallinn, Estonia. The CSFI workshop was ran in partnership with the CCD COE. *Don Eijndhoven (Founder and CEO of Argent Consulting, a cyber-security firm based in the Netherlands) – Holland. *Keren Elazari (Cyber Security Expert) – Israel. *Jeff Bardin (Chief Intelligence Officer at Treadstone 71) – USA. *Roger Kuhn (Science Advisor – Office of Naval Research (ONR)) – USA. *Christopher Taylor (Director of Forensics for CyTech Services) – USA. *Michael Theuerzeit (Norman Data Defense Systems) – Holland. Punch Moulton (Strategic Consultant at CSFI) present at the event representing our CSFI community of cyber security professionals. These cyber warriors represent the selfless desire to instruct, educate and create awareness regarding cyber conflict and the need for collaboration and knowledge exchange within the cyber security community. 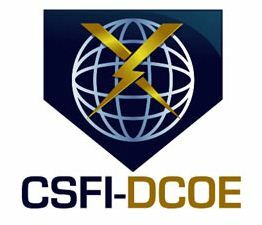 CSFI would also like to recognize the support provided by Ambassador (r) David J Smith (Senior Fellow & Cyber Center Director at Potomac Institute for Policy Studies and CSFI International Relations Adviser) for providing CSFI the proper guidance as we evolve. 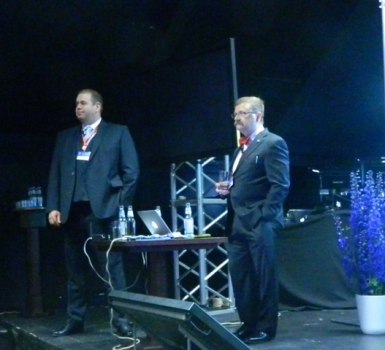 A very special thanks to our kind hosts in Tallinn, Dr.Katharina Ziolkowski and Dr. 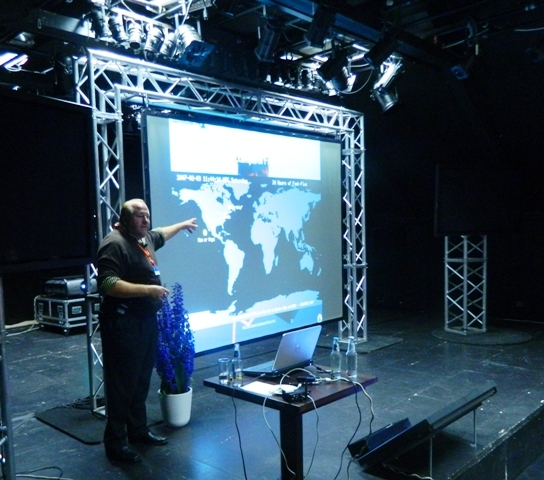 Rain Ottis – NATO Cooperative Cyber Defense Centre of Excellence. As usual CSFI is always thankful for the efforts of all staff members and volunteers who made possible this CSFI workshop in beautiful Estonia! CSFI Educational Partners: Utica College, BYU School of Technology, and George Washington University.